We can punch it! 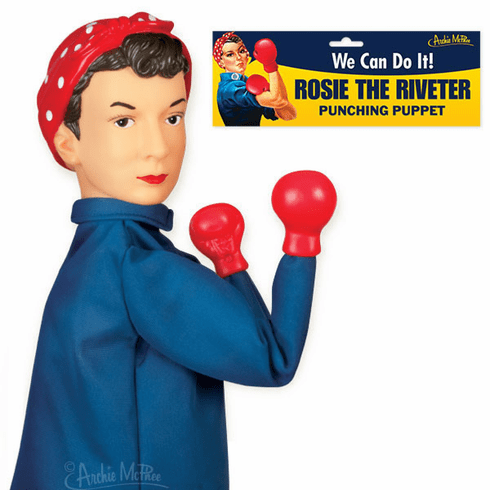 The 13" (33 cm) Rosie the Riveter Punching Puppet is ready to fight back. Just press the levers under the fabric clothing and she'll clock you one in the noggin. Her head and boxing gloves are made of hard vinyl. No matter what kind of oppression or prejudice you throw at her, she'll persist (with punches). Bagged with illustrated header.